Japan may be the most advanced technological country on the planet right now . But as it is said that there is thin line between genius and insanity. 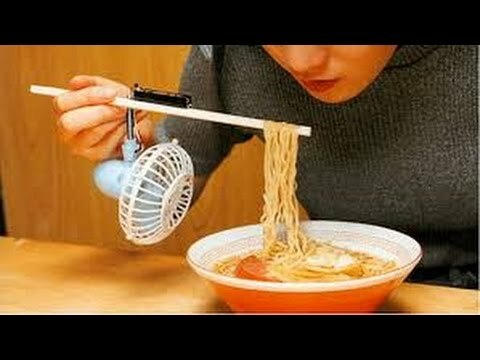 Weird and impractical items are found everywhere , but no other country in the world can match the weirdness showcased by japan as you are about to see. If hearing aid is too complicated for you to use , the Japanese have the perfect solution for you which also might provide you superhuman hearing abilities. You can call it weird or maybe say it’s genius , depending upon whether you are the type of person who can’t wait to dig in a hot bowl of tasty. Personally i would use it. Japanese seem to have created an overly complicated product for every simple need such as tissue paper.